On 30th of May at 5pm you are welcome to join us at PUBLICS for GediminasUrbonas’s talk The Pro-test Lab case: Organizational Aesthetics and Emotional Infrastructure. Since 1990’s when Lithuania re-established independency it’s public space and landmark buildings have trampled underfoot of privatisation, property development and demolition. While bulldozing monuments of the past memory, modernist aesthetic values and utility of the space is also forgot. In 2005 Gediminas Urbonasand his partner Nomeda started The Pro-test Lab as a call to reclaim public space in the city of Vilnius, Lithuania—in particular, to keep the city’s largest cinema, Lietuva, from being demolished. This intervention addresses memory, trauma and emotions attached to public space, while combining public discussions, exhibitions, a media channel, performances, an educational program, a series of petitions and even legal actions, all calling into question national development policies and territorial planning. As the project unfolded art practice woven in and through the Pro-test Lab developed as a network of complex relationships. To understand the complexity of the relations, a model of “emotional infrastructure” was developed. Based on the search for alternatives to a restrictive economic rationality the model aims to form modes of civic engagements that suggest artistic forms of non-violent social and cultural engagement as alternatives to formal planning and city development. As a co-founder of Urbonas Studio, Gediminas is involved in interdisciplinary research practice that facilitates exchange amongst different cultural and professional fields of knowledge production and artistic practice. These projects merge a variety of materials and techniques from new media, urbanism, social science and ecology. Urbonas Studio is currently working on Zooetics, a research project that explores the potential to connect with the non-human life amidst the Anthropocene. Urbonas Studio work has been exhibited at the São Paulo, Berlin, Moscow, Lyon, and Gwangju Biennales; at the Manifesta and Documenta exhibitions; and in solo shows at the Venice Biennale and the MACBA in Barcelona. Gediminas Urbonas recently edited Public Space? 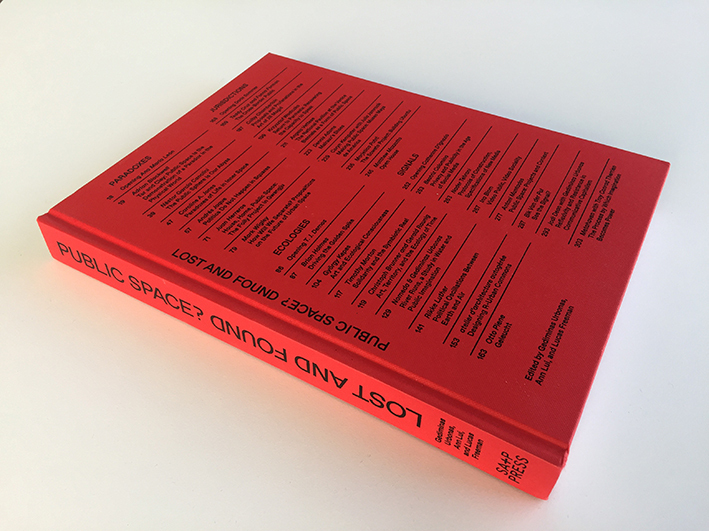 Lost and Found (SA+P Press; MIT Press, 2017) together with Ann Lui and Lucas Freeman, which brings together artists, planners, theorists and art historians in an examination of the complex interrelations between the creation and uses of public space and the roles that public art plays therein. Gediminas Urbonas, an artist, activist, and educator, is an Associate Professor in MIT’s School of Architecture and Planning and Director of the MIT Program in Art, Culture and Technology.